The Organization for Economic Cooperation and Development has evaluated the economic performance of the Slovak Republic, saying that country has the potential to see strong growth in the near future if a series of tax changes and economic reforms are instated to ensure a sustainable rate of development. Late last week the Organization for Economic Cooperation and Development (OECD) released Economic Survey of the Slovak Republic 2010, an annual report on the economic conditions, projections and challenges facing the country. 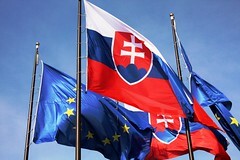 According to the report, the Slovak Republic’s economy is now recovering well and the real GDP growth figure will reach 3.5 percent in 2011, and 4.4 percent in 2012. Further, a strong possibility exists that similarly high rates of growth could be achieved in the medium-term. One of the most significant challenges facing the Slovak Republic is the country’s high budget deficit level, which could be addressed through appropriate alterations to the national tax system. In order to increase national tax revenue, the Government has been urged to consider raising rates on “immobile” tax bases, like the levies on the housing or environmental sector. The country’s Value Added Tax (VAT) collection system also needs an urgent overhaul to improve efficiency. The Government’s plans to merge personal tax collection systems and social security contribution mechanisms should also be fast-tracked, to greatly reduce tax collection overheads. To ensure future environmental health of the country, the OECD stated that the Government of the Slovak Republic needs to investigate means to expand the “green” tax system. Specifically, it was recommended that firms researching or producing environmental technology receive preferential tax treatment. Additionally, subsidies on pollution causing industries should be scaled back while the “environmental taxation” base be expanded. Due to the country’s high budget deficit, if the Government wishes to increase public spending, it will need to re-prioritize its monetary responsibilities. According to the OECD the national health sector is in need of greater levels of operational efficiency, and other social projects will have to be scaled back to provide appropriate levels of resources. Additionally, due to the country’s susceptibility to large economic swings, the Government needs to spend more funds on tertiary level education involvement and workplace training to prevent high levels of unemployment in the future.